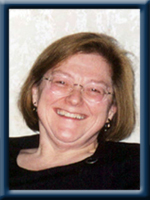 Benoy – Deborah Ann, 61, of Port Medway, Queens County, passed away peacefully on Thursday, May 9th, 2013 in South Shore Regional Hospital, Bridgewater. Born in Moncton, NB, she was a daughter of Robert Beyea of Montreal and Marie (Hirtle) Beyea of Lunenburg. Deborah ran her own day care for a number of years before working with the Ontario Department of Motor Vehicles and becoming a supervisor. Following this, she was a secretary for the Scarborough School Board. She is survived by her husband James Rhodenizer, her son Shawn of Halifax, her brothers Harold (Anne) of Mercer Island, Washington State and John Robert of Unionville, ON. She was predeceased by her first husband Ted Benoy. Cremation has taken place under the direction of Chandlers’ Funeral Home, Liverpool. At Deborah’s request, there will be no funeral service. No flowers by request, donations may be made to the Canadian Cancer Society or to a charity of your choice. Online condolences may be made to www.chandlersfuneral.com. Jim, we are so sorry to hear of the passing of you wife. God’s blessing to you and your family. Deb was a great friend and neighbour and we will miss her. Jimmy and Family: Our deepest sympathy to you on the loss of your loved one Debbie. May your memories help you make it through this difficult time. A very sad time. Debbie was so full of life and always had a smile for everyone. A great daughter, sister, mother, wife and cousin. We have moved to Red Deer, so cannot visit family at this time. God bless her, and her family. She is now with the angels. So sorry Jim for your loss , thinking of you in your sad time..
Goodbye mom, Be at peace now. You will be loved always. Jim, I am sorry that trouble has come knocking again. My deepest sympathies to you and Shawn. Goodbye Sis, I miss you a lot. Jimmy- what can we say? Nothing except sorry for your loss. So very sorry Jim & Shawn. Our love is with you. Jim, Some people make a difference and Debbie certainly did. She always had a smile and kind word for those around her. What beautiful memories of her we’ll have. Jimmy: We were sorry to hear about your loss. Our thougts and our prayers are with you. Jimmy,sorry to hear of your loss.Our thoughts are with you at this time of sorrow,Remember all the happy times that you sent together in this short time that she was with you.Take care Jimmy. John and I were saddened to hear of Debbie’s passing. We are so sorry for your loss – she was such a sweet lady. Our thoughts and prayers are with you and her family during this difficult time. Please accept our sincere condolences. My condolences Jim and Shawn. Debbie will be thought of often and missed even more by all our family. I’m so sorry! I didn’t realize Deb was sick! I have fond childhood memories of my cousin Debbie … she took pity on me when I was so scared of Harold and Hap (being rambunctious boys). LOL Love & hugs to the fam! Jimmy we are sorry to hear about your loss. We will miss her too. Our thoughts are with you. Jim,Sorry for your loss,our thoughts and prayers are with you. Jimmy: very sorry to hear of Debbie’s passing, our thoughts are with you during this difficult time. I am so sorry to here of your mom/wife’s passing, just know that she’s looking down at you and watching over you…my deepest sorrow.. So sorry to hear of you loss. Sending you my deepest sypathy. Sorry Dave to hear of the loss of your sister-in-law, we wish to send our condolences to you and your family.